Sling Seat Cushion - BuckShot Signature Black Fabric only - no longer available in camo. 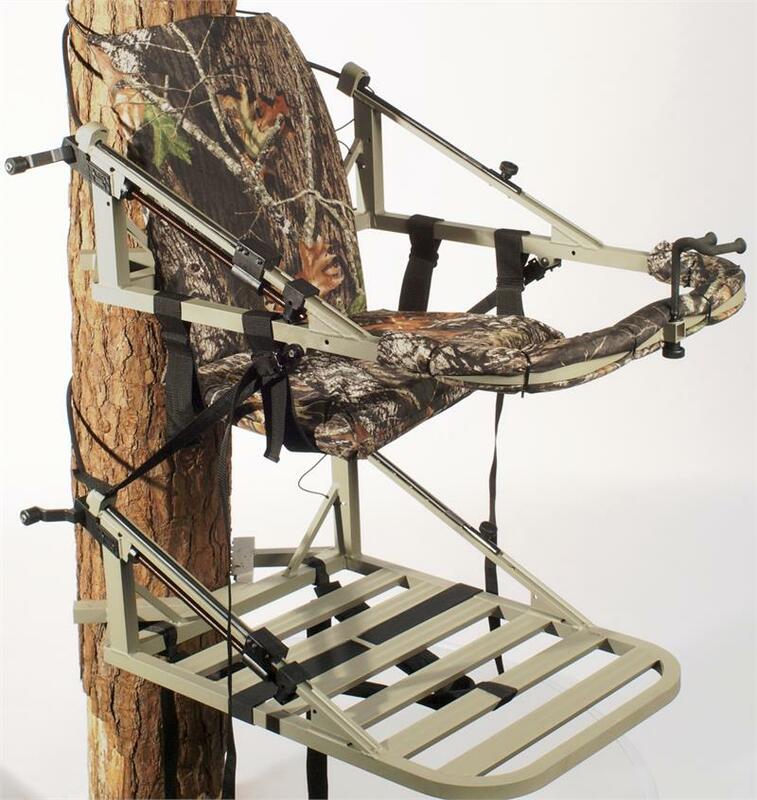 The Sling Seat Cushion provides a comfortable all day hunt and peace of mind if you are a snoozer. With over 2" of reinforced padding inside the bottom section and over 1" of padding in the back it comes completely encased in BuckShot signature black water repellent fabric and uses two 2" wide straps to attach it to the aluminum frame. These straps are fully adjustable, making it easy for everyone to adjust the seat to their personal height preference. The top of the the back uses a bungee style cord to wrap around the tree, keeping the back upright and never slouching. Follow the Sling Seat backpacking instructions and it backpacks really well. BuckShot Signature Black Water Repellent Fabric only.